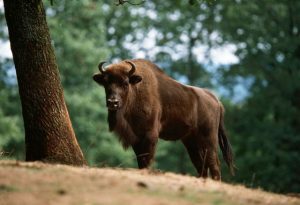 The European Bison, also called the ‘Wisent’, is the largest land mammal of the continent of Europe. Often confused with the American Bison, the population of the wisents has got dramatically low in the past few decades, which is mainly because of human predation. In 1996, IUCN declared this species as ‘endangered’. However, with the gradual increase in population, their status has been changed to ‘vulnerable’. Size: By length, they are between 2.1 and 3.5 m (6.9 to 11.5 ft), while the height is 1.6 to 1.95 m (5.2 to 6.4 ft). Weight: Males weigh between 400 and 920 kg (with a body mass of 634 kg), while the weight of the females is between 300-540 kg (with the mass being 424 kg). Body Type: This herbivore has a thickset body shape, with a pronounced shoulder hump and a short neck. Coat: They have a dense coat, which is dark to golden brown in color. Mane: The mane is long and is distributed over the forehead and underneath the neck. Tail: The tail is fringed and long, measuring between 30 and 80 cm. Horns: Both the sexes have horns projecting outwards, and then curving upwards. 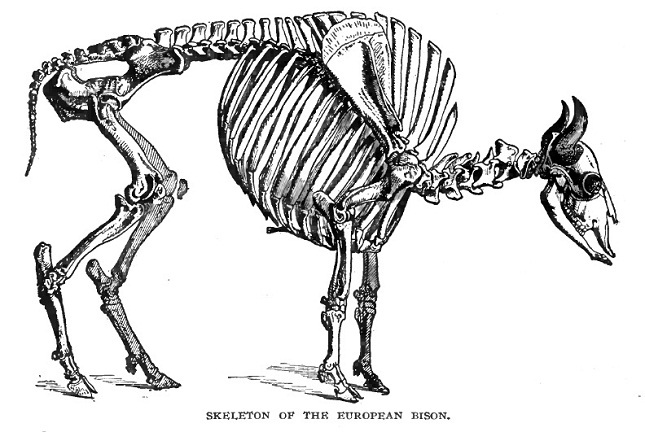 The primitive range of the wisent encompassed almost entire Europe, including southern England, and parts of Russia; however, most populations were eradicated by hunting. In the past, especially in the Middle Ages, they were mostly hunted for hide, and to make drinking horns. 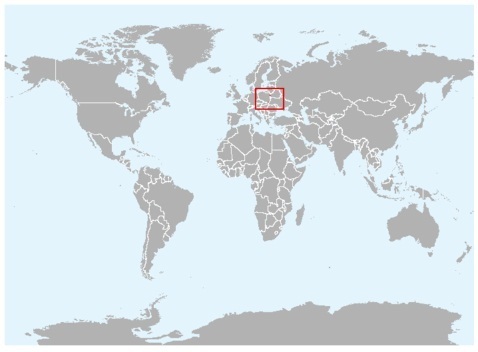 At present, the range of the European bison has become very restricted. Fortunately, the breed could effectively be kept alive by captive breeding, with the population increasing slowly. Since 1980, 24 herds of these bison have been reintroduced into the wild. In the wild, the wisents do not live longer than 14 to 16 years. However, in captivity, the males have been seen to live for up to 20 years, while the females live longer – up to 28 years. They are native to the regions of Bialowiesza (Poland) and Western Caucasus. They have been reintroduced to Belarus, Lithuania, Poland, Russian Federation, and Ukraine, and introduced for the first time in Kyrgyzstan. In the wild, the wisents inhabit the deciduous and mixed forests with open grasslands and low-lying vegetation. However, with active conservation programs, a large percentage of these animals live in wildlife sanctuaries and national parks in Europe. On an average, the wisents are slightly lighter in their body mass than their American counterparts. European bison is also taller at the shoulder than the American bison. European bison, compared to their American cousins, have shorter hair on the head, the neck, and the forequarters. The tail and horns of the European Bison are longer than the American Bison. These animals move very slowly. During summer months, the European bison would spend 60% of their daily activity to forage and eat, 30% to rest, and 10% on hovering around the forest without feeding. However, during winter, these bison would typically supplement their feeding with hay spending around half the time in feeding (30%). They would roam around the forests more during this time, around 60%, which is primarily for the purpose of basking and warming up. Thus, the everyday activity of these animals is almost similar to most other ruminants with foraging, alternating with rumination and resting. These are herd animals, and would live in both mixed and solely male groups. They are primarily social animals with their herds typically including mixed groups containing calves, cows, young bison between 2 and 3 years of age, as also adult bulls or groups of bulls. In an average, there are between 8 and 13 animals in each group. However, the number of heads varies, depending upon the environment. During foraging, though, they can even be seen in larger groups of up to 23 individuals. Groups of bulls are mostly small comprising of around 2 animals. Younger individuals frequently move in groups. However, the individuals in one single group are not necessarily units of a single family, and the numbers may often vary, depending mostly upon seasonal or behavioral factors including calving, joining of new bulls in the mating season, etc. During winter, the most of the bison would gather together in feeding sites, forming large mixed assemblages. European Bison are completely herbivorous and thrive on simple foods including grass and sedges, which are their primary foods. They will also eat tree leaves and barks, acorns, lichens, mosses, and shrubs and shrubberies from low-lying vegetation. European bison must drink water every day. They are polygamous. The mating season of these bison falls between August and October. During this time, the males would join the female herds, competing for mating with the most receptive females. The younger bulls, between 4 and 6 years of age, face a tough opposition by the older bulls when it comes to mating, even though the former are sexually matured. Just like bachelor male groups, groups are also formed by females that occupy a vast home range of up to 100 sq km, which is led by a dominant cow. Once a bull chooses its partner, it would attempt to separate the cow from the rest of the group. This behavior is mostly associated with sexual jealousy, so as to block the access of the other bulls to the specific female. Males might engage in vigorous clashes during this time. The gestation period in the females is 264 days, and in most cases, they give birth to one calf at a time, but rarely 2 calves, typically between May and July. On average, male calves weigh 27.6 kg on an average during birth, while the females are lighter at 24.4 kg. While the male European bison reach the age of sexual maturity by around 2 years, while the females would attain it at 3. For both the male and the female wisent, the horns are curved, and project from the side of the head. 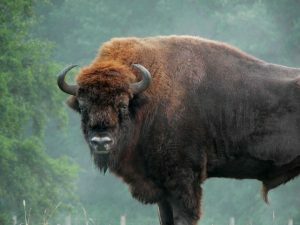 This shape and placement of the horns cause the most damage during a combat or an attack, when the bison would toss its head upwards into the victim’s side or belly. The tail of the bison is fringed so as to keep flies away from the body. The haunches of these animals are extremely powerful that provide enough strength to their hindquarters, helping them to run at speeds of 35 mph, which is the same speed as thoroughbred horses. The hooves of these animals are strong, hard, and sharp enough to help them walk effectively in the European forests. The weight of the bison is distributed equally throughout their bodies. This helps them pivot themselves quickly on the ground. 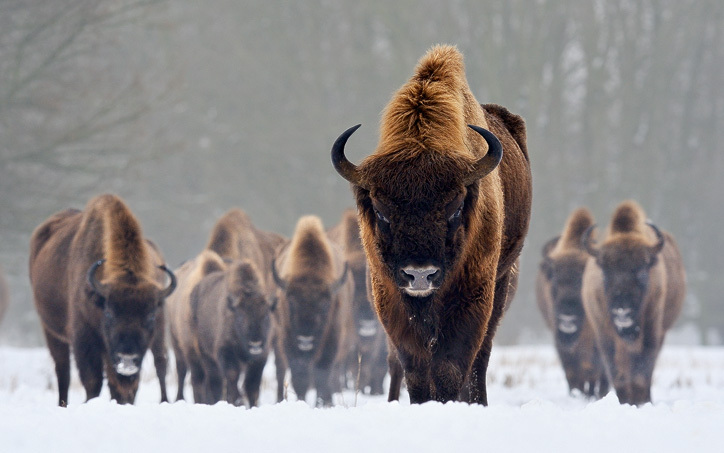 The large head, shoulder and neck in a European bison help them survive the furious combats and the subsequent aftereffects. 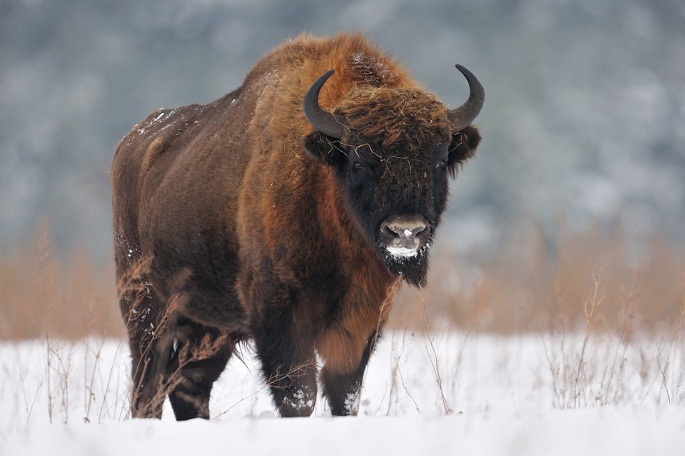 Interestingly, the European Bison do not have any natural predators, except for a few scattered 19th-century reports of bear and wolf predations. Though they are not yet endangered, but with the rapid decline in population, they have been enlisted under the ‘vulnerable’ (‘VU’) category of the IUCN 3.1. During summer, an adult male wisent can consume up to 32 kg of food in a day, while a female can consume up to 23 kg. 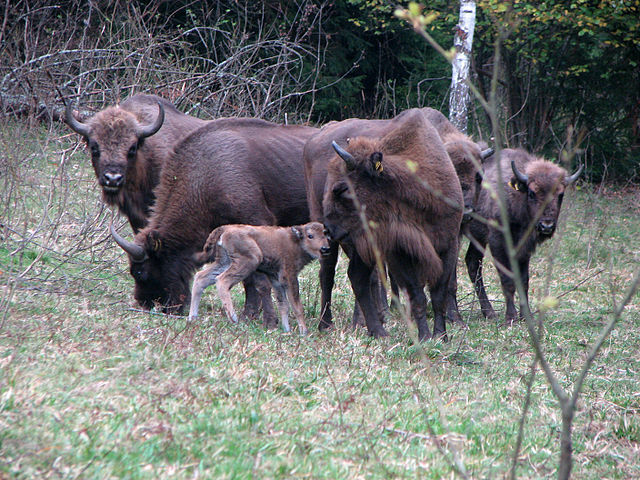 ‘European Wood Bison’ is another name for the European bison. The hooves are so strong and heavy that the bison can use them to break the ice while foraging. In France, their alternate name is ‘Bison d’Europe’. The primary causes of their death include diseases, injuries, natural process of ageing or senescence, and poaching. In World War-I, European Bison meat was used as food. This animal once became extinct in the 1920s. Some male specimens have been seen to attain weight of up to 1000 kilos. Colloquially, bison are often (wrongly) referred to as ‘buffalo’. However, both are two distinct species, with the buffalo being native to Africa and Asia, Bison are indigenous to Europe and North America. It is estimated that, presently, there are approximately 3200 bison left.